Faiths Forum for London is working with young people aged 16-18 from faith communities in six boroughs to help improve at least 8 small pieces of derelict ground and transform them into pleasant community spaces. Each youth volunteer is matched with retired people from a different faith background who are willing to pass on their gardening skills and enthusiasm to a new generation. FFL is looking for 100 young people to take part and at least 20 mentors. If you are a faith group, a volunteering organisation or a school and are interested in taking part in this project, please contact warwick@faithsforum4london.org. If you are aged 16-18 and live in East London, or are a faith community in East London, FFL wants to hear from you. Join us for a 3 day community gardening project. As part of our European strand of work, LBFN is delighted to host a reception for distinguished guests from the city of Berlin. Join us at Collaboration House, 77 Charlotte Street, W1T 4PW, at 5-6pm on Monday 30 January. Register your place here. Interfaith, Cities and Government is a new project launched by the European Council of Religious Leaders (Religions for Peace), bringing together interfaith leaders and local governments from European cities, to share best practice, exchange knowledge, and explore collaboration. The visit to London follows a meeting at Berlin Town Hall in October 2016 which included London Boroughs Faiths Network, Faiths Forum for London, the Metropolitan Police and the European Council of Religious Leaders. The reception ends at 6pm but our guests have kindly agreed to stay on for some informal networking until 6.30pm. Faiths Forum for London is organising a series of hustings, ahead of the EU elections on 22 May, supported by Europe House. The first is this weekend, on Sunday 30 March 5-7pm at The Sternberg Centre, 80 East End Road, Finchley, London N3 2SY. There will be two further hustings in the series, one at an Islamic centre and the other at a Hindu temple. To register for Sunday’s event, visit the Europe House website. 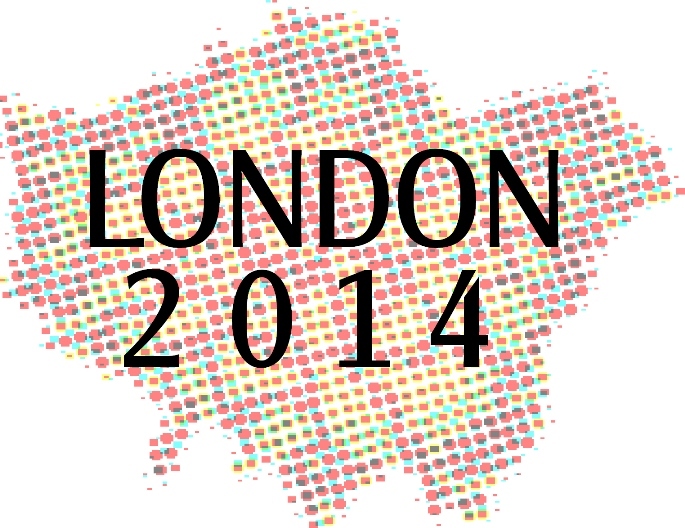 There’s plenty on in London to get 2014 off to a great start! 20 January 9.30am – 4.10pm A Conversation about Conflict exploring the faith influences that can be used to tackle difficult issues in a community setting. St Ethelburga’s and Christian Muslim Forum are co-facilitating the workshop at 305 Cambridge Heath Road, E2 9LH. Details here. Could your faith community improve the way it responds to conflict? Are you interested in bringing the principles and practices of your faith into your responses to conflict? Are you interested in sharing your faith practices across faiths and learning from each other? 22 January 10am-12pm Together in Service funding briefing at Bethnal Green Mission Church, 305 Cambridge Heath Road, E2 9LH. There’s also a chance to talk to the TiS team individually about potential projects. Details here. 22 January 6.30-8pm Poverty and the Tolerance of the Intolerable – talk by Prof Amartya Sen at LSE . The talk will be live-streamed on LSE’s website and a podcast made available. Details here. 27 January Holocaust Memorial Day events have been been organised by many London boroughs in cooperation with local religious communities, including Barnet, Lewisham, Haringey, Southwark, Greenwich, Croydon, Brent, Lambeth, Hounslow and Havering. Details of all London events here. 27 January 5.30pm European Parliament training event with Faiths Forum for London at Europe House, Smith Square, W1. The aim is to engage with citizens and faith groups to raise awareness of the issues and debates taking place in European Parliament and how citizens can get involved the decision making. Details here. South London Inter Faith Group meets on the last Thursday of the month at 12.30-2pm at Streatham Friends Meeting House, Roupell Park Estate, Redland Way, SW2 3LU. Next meeting 30 January. Details here. 4 February 6pm The Dialogue Society Book Group Meeting 5: A Distant Shore, by Caryl Phillips The Dialogue Society, 402 Holloway Road, N7 6PZ. Details here. Westminster Faith Debates are back with a new series, on global religious trends, at RUSI, 61 Whitehall, SW1A 2ET at 5.30pm, including on 12 February What is driving sectarian violence in the wake of the Arab spring? and on 12 March Are attempts to promote worldwide religious freedom naive or necessary? Details here. 18 February Women in the 21st Century conference at Queen Mary University, London E1 4NS with a wide range of speakers and workshops (£40). Details here. Westminster Cathedral Interfaith Group meets next to the Cathedral in Victoria on the third Wednesday of the month at 4pm. Upcoming speakers include Hugo Clarke (Curzon Institute) on World War 1 (19 February), Raheed Salam, faith and interfaith consultant for NCVYS (19 March). Details here. 11 March 3-5pm London Boroughs Faiths Network meeting at the Department for Communities and Local Government, Eland House, Bressenden Place, SW1E 5DU. We are also planning two focused meetings on health and on young Londoners. 12 March at 5pm. Near Neighbours – can Christians do public faith for everyone? Dilwar Hussain, New Horizons in British Islam, 14 May at 5pm. Details here. 15 March God and Government Conference with Theos, covering welfare, religious freedom, multiculturalism, and education among others. Details here. Research Project on Attitudes to Self-Sacrificial Death for National and/or Religious Motives. Prof John Wolffe (Professor of Religious History, The Open University) is interested to hear from anyone from a Catholic, Protestant or Muslim background who would like to take part in this study by being interviewed. “In the run-up to the centenaries of the outbreak of the First World War (August 1914), of the Easter Rising in Dublin (April 1916) and of the Battle of the Somme (July 1916), we are developing a historical and contemporary study of British and Irish views on martyrdom and sacrificial death. We are interested not only in perceptions of events a century ago, but also in the way casualties have been regarded in events within living memory such as the Falklands War of 1982, the ‘Troubles’ in Northern Ireland and IRA attacks in the mainland UK in the 1970s, 1980s and 1990s. We are also exploring more contemporary examples, notably reactions to the 9/11 and 7/7 bombings, to the conflicts in Iraq and Afghanistan, and to the ‘Arab Spring’.” Details here. An Inter Faith Week invitation from Mustafa Field, Director of the Faiths Forum for London. “The Faiths Forum for London has organised an interesting workshop to promote inclusion and highlight how social exclusion among children and youth is often not premeditated. The workshop aims to raise awareness and consciousness among practitioners and leaders children and young people can help to make groups more inclusive. Why does it often go unnoticed? In what settings does social exclusion most happen? How can we spot the presence of social exclusion? What effect does this kind of exclusion have on the young person and on the community? What methods would be effective in raising greater awareness about the importance of inclusion work? How can we promote inclusion in our youth, education or communal work? How can faith provide the impetus for an inclusion agenda? If you would like to take part in the discussion, please contact Mustafa on mustafa@faithsforum4london.org or 020 7569 9098. Faiths Forum for London is co-sponsoring the annual two-day international Buncher Conference at Church House, Westminster, SW1P 3NZ, on 31October -1 November. This year the topic is social finance, corporate social responsibility and communities and speakers include previous FFL director Francis Davis. “What is the Buncher Conference? The Buncher Interfaith and Intercultural Conference is a multifaith event aiming at bringing together top leaders from different disciplines to discuss critical issues pertaining to the life of their communities. This year, the conference is looking at bringing together faith and cultural leaders, professional and lay with those in business who work with communities. The conference takes place each year in London at the illustrious Church House Conference Centre. What to expect? This year’s conference will explore the complex interaction between the business and voluntary sectors and will focus on: social finance; corporate social responsibility; businesses utilizing community values and ethics; and the development of partnership models between businesses and communities. You can register online, where there’s also a video and photos of last year’s conference. Phil Rosenberg, who has attended many of our LBFN meetings both before his appointment to Faiths Forum for London and latterly as its Director, is moving on to a senior post at the Board of Deputies of British Jews. Congratulations Phil! We will miss him but hope to keep in touch. As you may have heard, our Director Philip Rosenberg has been appointed as Director of Public Affairs at the Board of Deputies of British Jews. He will be tying up some final projects over the next few weeks before moving on at the beginning of July. As such, we are now recruiting for a new Director. The position is a shared role between the FFL and the Fayre Share Foundation. Contract Type: Full-time for an initial period of 11 months, with the possibility of extension. Please submit a CV and Covering Letter (Max 2 Sides Each) to info@faithsforum4london.org by Wednesday 5 June 2013 at the latest.